With its pastel-hued fabrics and embroidered flowers, Dhaga reminded us of an English garden in spring! If you are looking for flowery pastel clothing in light-as-air fabrics, head to Dhaga. They stock the most gorgeous summery fabrics, flowy synthetics in the lightest hues with embroidered flowers. The nets, georgettes are around INR 350 a meter. From cotton fabric with basic prints, silk brocades, sequins, lace, georgette, and Indian handloom, the shop has it all. It’s a good place to hit up whether you’re looking to build your lehenga from scratch or even just buy fabric for your dress, sassy blouses, pants, or kurta. The fabrics with Indian prints start from INR 120/150 and come in a bunch of styles like Kalamkari, Rajasthani block prints, ikats and are really great for making those comfortable but pretty summer kurtas. We also loved their small stack of striped cotton fabric in light shades. 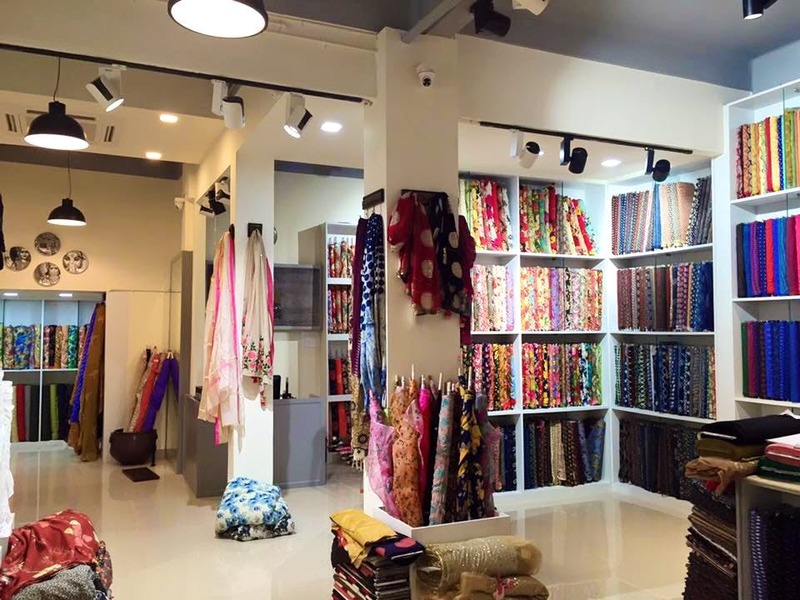 You won't get real handloom fabrics here; those you will only find in shops like Byloom and Kamala. They also do tailoring and prices differ according to the detail on the dress or kurta.